Yup, that’s it. Try to stay awake. And when the timer goes off, find a renewed sense of energy. Or feel rested. Maybe you’ll find clarity to a problem. I took this picture last weekend at Wave Hill, a beautiful little nature center in Riverdale. I love the image of the lotus flower as a symbol for the meditative mind. 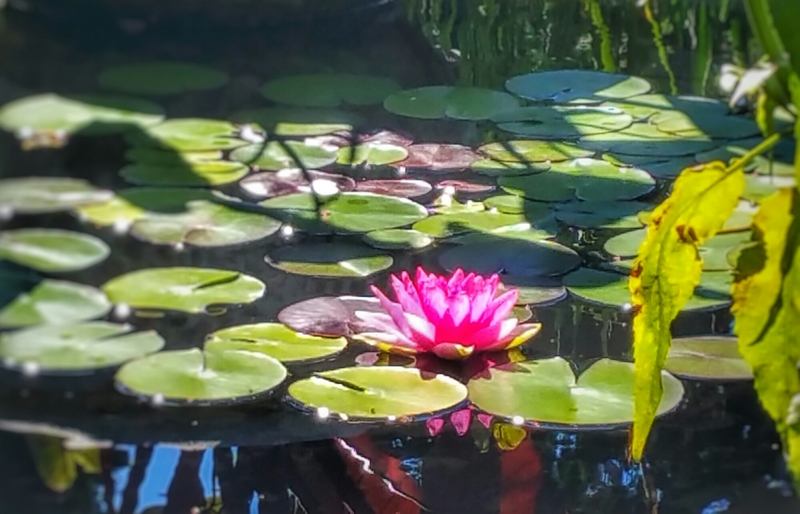 Like a lotus, let all cares rest on the surface. Let the mind be calm water. Or a cloudless sky. I heard Thich Nhat Hahn once say that when troubles strike, let the troubles be like a storm that may toss and turn the top branches of a tree but your trunk, your center, stays strong. You bend but do not break. Last year I dedicated the month of October to mindfulness. It worked. I felt more at peace — for a few minutes, for a month, for a while.